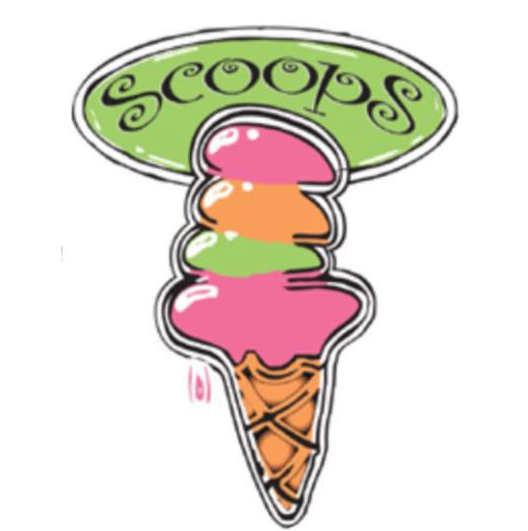 Our small batch crafted ice cream is locally manufactured with all natural ingredients using only Grade-A sweet cream, pure cane sugar and the finest natural flavorings available in the world. Come taste our difference! 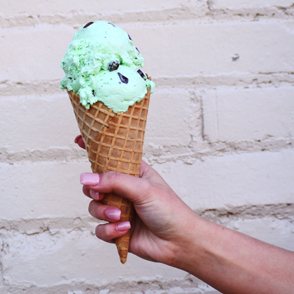 A green mint ice cream with large flakes of milk chocolate. A blue vanilla flavored ice cream mixed with chocolate sandwich cookies and chocolate chip cookie dough chunks & chocolate pieces. A classic cake flavored ice cream. The classic made with strawberry puree and sliced strawberries. Also available in a no-sugar-added ice cream. A pink cotton candy flavored ice cream. A rich ice cream made with praline pecans and caramel. A salted caramel ice cream with a caramel swirl, & decadent Chocolate Caramel Turtle candy. A peanut butter ice cream with a caramel and chocolate wave, and chopped peanuts. A black cherry ice cream with chunks of real black cherries. An orange sherbet or sorbet made with orange juice & fruit puree. A tropical delight, this sherbet is made with crushed pineapple and pineapple juice. A key lime base ice cream with graham cracker crust bites. A rich coffee flavored ice cream made with coarse ground Italian espresso. Peanut butter ice cream with chocolate chips. A Vanillia ice cream covered with tons of oreo crumbles. A rich red sherbet or sorbet made with red raspberry puree, and or fruit. A green mint ice cream with delicious chocolate sandwich cookie pieces inside. rich and creamy blend of vanilla ice cream and real milk chocolate flakes. A rich coffee flavored ice cream with a hint of chicory. Also available in no-sugar-added. Our favorite chocolate ice cream with a peanut butter swirl. 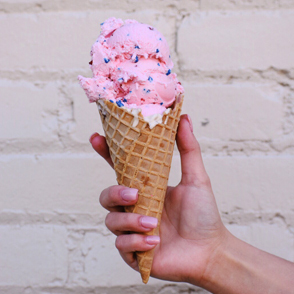 A vanilla flavored ice cream that is bright red, blue and yellow. An Italian ice flavored with pineapple and coconut. Rich cake flavored ice cream with party colored sprinkles and a blue frosting. A delicious light pink cotton candy flavored ice cream. Our finest chocolate ice cream made with rich imported cocoa. Just like your favorite layered dessert, except it is made with ice cream, fresh bananas & vanilla wafers. Yum! An exquisite flavor made with our finest butter pecan ice cream & bourbon for an extra kick. Rich raspberry ice cream with pieces of milk chocolate. Chocolate ice cream with pieces of chewy chocolate brownies inside. A coconut flavored ice cream blended with fresh flaked coconut. Our finest vanilla ice cream made with pure bourbon vanilla from choice, aged, East Coast Madagascar bourbon vanilla beans. A chocolate ice cream with chunks of real black cherries.